After my installation of Windows 10 April 2018 Update I went to Settings / Storage just looking for how much space was used by the backup copy of Windows. I clicked on "Free up space now". 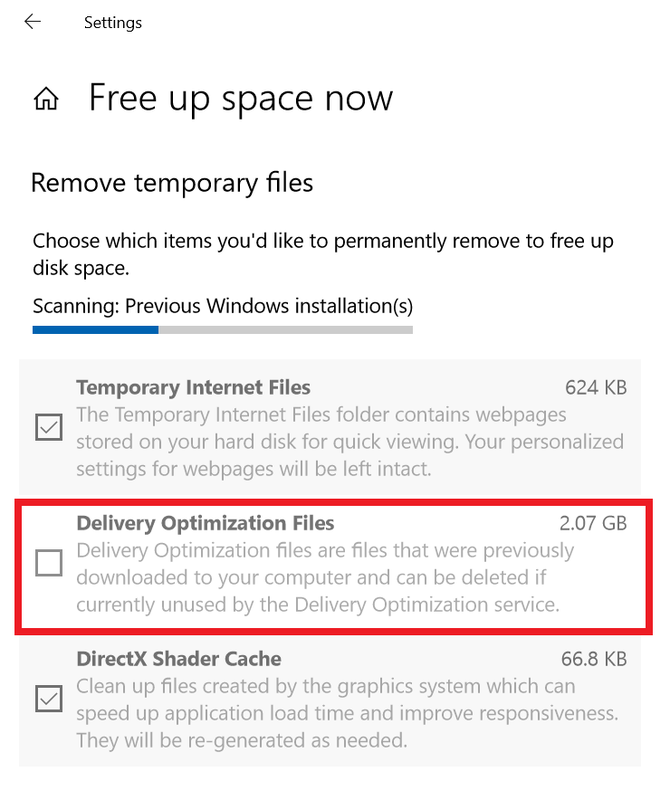 As it was scanning the entry for "Delivery Optimization Files" caught my attention with over 2 GB. 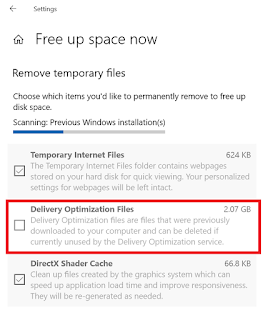 What are "Delivery Optimization Files"? Windows Update Delivery Optimization works by letting you get Windows updates and Microsoft Store apps from sources in addition to Microsoft, like other PCs on your local network, or PCs on the Internet that are downloading the same files. So, how well is it working? Go to Settings / Delivery Optimization. I always set it to "Allow downloads from other PCs" but only check "PCs on my local network". Then click on "Activity monitor" to see what it's doing. While I started on this journey on a PC that had just updated to Windows 10 April 2018 Update, I went over to a PC that hadn't updated to get representative numbers. This PC is the only one Ethernet connected to the Internet. 2/3s of the Windows Update data came from Microsoft and 1/3 came from other PCs on the local network. But further, this PC provided over 1 GB of Windows Update data to other PCs on the local network.